Member retention and quality club meetings are closely related. This year District 25 is increasing its focus on member retention. It has been demonstrated that Quality club meetings that implement the principles and practices in the Moments of Truth from the Successful Club Series have improved member experiences. At the summer officer training sessions, we have a special incentive for your officer team to attend training together. 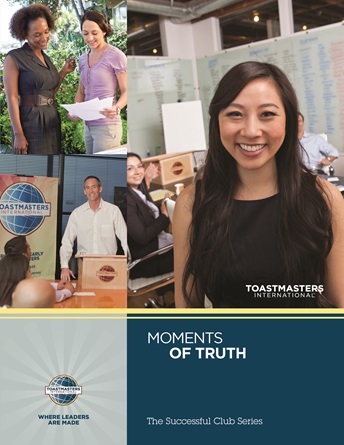 If four or more officers from your club attend on the SAME training date, the club will receive a FREE Moments of Truth package from the Successful Club Series! Did I hear you say why do I need a Moments of Truth package? This is one of the four recommended Successful Club Series modules that should be presented annually in your club as part of your education program. This can be put in your club’s supplies, to be available when needed for someone to present when working to earn an Advanced Leader Bronze or Advanced Communicator Silver Award. Already signed up for training and want to change your date? Just send a note to events@d25toastmasters.org. Then register again on the TLI page for the date you want. 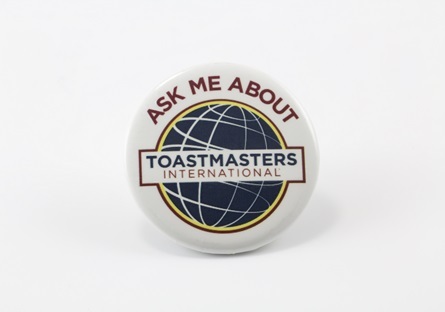 Another little bonus: Every officer who attends training will get the desirable and popular “Ask Me about Toastmasters” button!